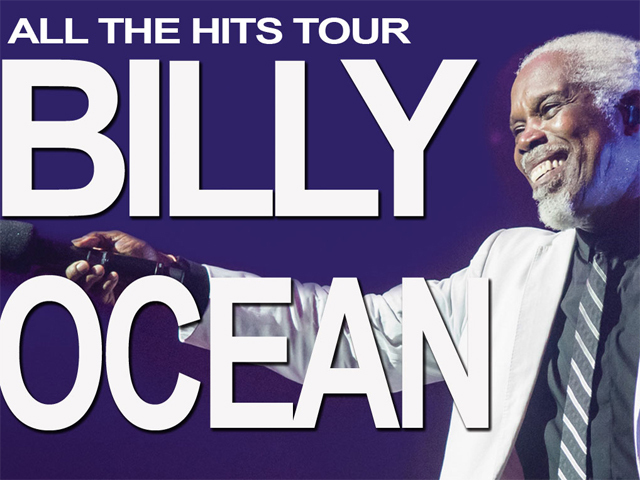 Following his sold out 2018 UK tour, Billy Ocean has announced he is coming to Australia in June. This is part of his world tour, where he will perform his greatest hits and favourite tracks. He will be joined on stage by his super band to put on a show that will get everyone out of their seats. Billy Ocean is one of Britain's greatest ever soul stars with 30 million record sales to his name. Having achieved extraordinary success as both an artist and a songwriter, he has collected multiple Gold and Platinum records in many countries. Smash hits such as Caribbean Queen, When the Going Gets Tough, Get Outta My Dreams, Suddenly, Love Really Hurts Without You, Loverboy and There'll Be Sad Songs have topped the singles charts the world over. These songs also made an impact on the international charts and continue to be on radio playlists across the globe to this day. Billy Ocean's recording highlights include a Grammy Award for Caribbean Queen and contributing the theme tune to smash-hit movie Jewel of the Nile. Live, his appearances are legendary, performing on the American half of 1985's Live Aid and continuing to play to tens of thousands of fans at open-air events around the world. Said Billy of his forthcoming tour "I love Australia and I'm really looking forward to returning for my shows, it's going to be 6 party nights and everybody will be up on their feet!" With an untouchable stage presence and so many undeniable hits, Billy Ocean is only growing stronger with age and his songs still stand the test of time. Get out of your dreams, get into your car and get yourself a ticket!